Gerascophobia is a clinical phobia, defined as an incessant fear of aging. 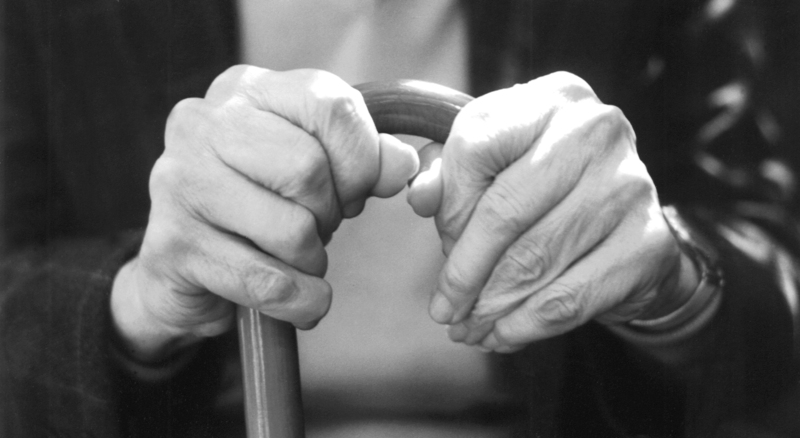 Sufferers view aging as a human flaw or disease rather than a natural progression. They are more likely to seek plastic surgery to help them remain looking youthful, and symptoms include the fear of the future and the fear of needing to rely on others to undergo daily functions. Many also fear that they will not play an active role in society when they get older. I believe that we are all Gerascophobic to a certain extent. It is a term that shows a strong correlation with today’s Instagram culture, where false beauty and in-authenticity surpass organic looks and the natural order. Age-related clinical research is rapidly advancing, and I think it is important that we are considerate in our approach and set moral boundaries before we are presented with the option to completely reverse the ageing process. A first in-human trial run by Harvard University, suggests that a “Molecular Fountain of Youth” is not far from our reach. Results suggest that we will soon be able to reverse a natural part of the human ageing process, Senescence (the loss of a cell’s ability to divide and grow, leading to the general wearing out of the body over time). Reducing the functional age of muscle tissue through stem-cell based disease modelling is a pioneering scientific achievement, but what are the implications of researching and advertising this as a “Fountain of Youth” and a cure for ageing? The journal of International Medical Research published an article last year around understanding ageing and our fear of chronic diseases in later life. They investigated what people fear most about age-related diseases and their concerns around having long-term illnesses. Results from 500 participants aged over 40, showed that the biggest fear was of chronic diseases such as dementia, diabetes and hypertension, rather than life-threatening diseases like cancer and heart disease. The results confirmed that the biggest fear was not of dying, but of placing a long-term burden on their families who would have to take care of them. Prioritising research into chronic diseases associated with ageing, seems to be a much more sensible release for Gerascophobia sufferers, rather than working to cure ageing from an aesthetic perspective. Given the speed that anti-ageing research is advancing and its prevalence within today’s social media society, I think it realistic to say that we will eventually face the option of immortality, or choice around how and when we want to die. My fear is not of naturally growing old, but of having to choose mortality or immortality! The Human Fear of Ageing however, is historic and has not just been defined by the millennial generation. Oscar Wilde’s novel “The Picture of Dorian Gray” was published in 1890. The main theme of the book is the Supremacy of Youth and Beauty. Dorian, the main character has his soul trapped in a portrait of himself. He doesn’t age, and he becomes immune to all conventional illnesses, diseases, viruses and infections. He remains youthful while his portrait ages. With the gift of eternal youth, Dorian is essentially invincible. He becomes a debaucherous character that is morally un-affected by his acts of murder, dishonesty and fraud. This was a story written in the 1800’s, that could become reality for generations alive today, due to advances in medical research. How will humans react if we are presented with the option to live forever? Sarah is an expert in placing HR interims and mid to Director level permanent hires within CRO’s, Biotechnology and Pharmaceuticals companies that are experiencing significant change or transformation.